As writers we all want to tell stories which reflect the rich, diverse world we live in. However, writing characters with different life experiences to your own can come with pitfalls, and it is important to avoid these to prevent writing stereotypes or unbelievable characters. I’ve outlined 5 top tips for creating LGBT characters which I hope will help you avoid these pitfalls. I’d love to hear any other advice you can share! We all know that producers want diversity in scripts, and that’s fantastic. But crow-barring a ‘gay best friend’ or ‘camp teacher’ into your script just to score points isn’t going to cut it. Stereotypes have been done to death. Make your characters three dimensional people who just happen to be gay too. When you are writing LGBT characters it is very easy to focus in on the dramatic – the ‘coming out story’ or the ‘Transition story’. And while these can have real value, there are lots of LGBT people in the world living normal lives and going on adventures which have nothing to do with who they sleep with or which gender they identify as! Russell T Davies has said that he deliberately avoided writing about HIV when he wrote Queer as Folk because it was what everyone was expecting. He wanted to go in a different direction and focus on the many positive aspects of gay life. Top Tip! If you want to tell an LGBT story, find a new angle; make your script stand out. If you do decide you want to focus in on a storyline specific to the LGBT community and are not already a member of this community – do your research! If you want to write about prohibition: talk to people who were around before homosexuality was legalised. If you want to write about transitioning: go and talk to Trans* people. Make your language, experiences and stories resonate with a wide audience. LGBT people have been around since the dawn of humanity. Even if you are writing a period drama, could you include an LGBT character? There are so many fantastic stories to be told of life before decriminalisation, or life as a trans person before transgender was recognised. Likewise, LGBT people don’t just emerge fully formed into the world aged 18. If you are writing for children or a family audience, could you use this opportunity to help normalise LGBT lifestyles by including gay parents or a trans* child? If you want to include trans* characters in your writing, remember it’s not always a case of ‘Male becomes female’ or ‘female becomes male’. Trans* encompasses a whole spectrum of people, from those who feel they don’t fit into any given gender, to those who feel that they are a beautiful amalgam of both, to people who fit anywhere in between. Considering Trans* characters in your writing opens up many more opportunities for fresh, interesting stories to be told. Top Tip! Think outside the box. Does your character need to be male or female, or would it take your story to another level if they didn’t fit in to either category? If you have written an LGBT character or storyline and are worried you haven’t got it right, ask for feedback! It’s always better to correct a character at development stage rather than submit it and find out the hard way. 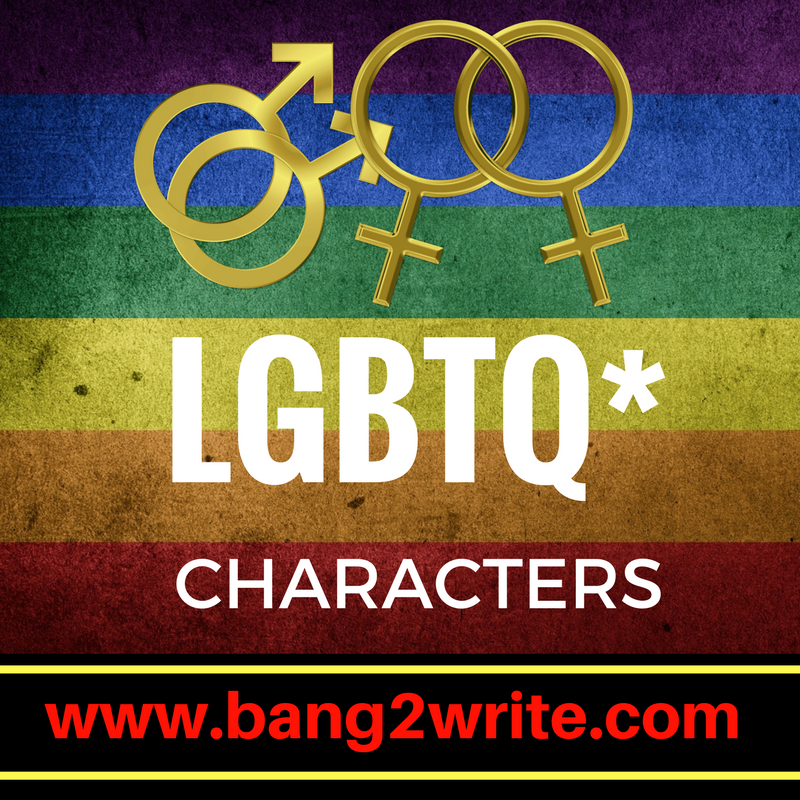 If you have no LGBT friends keen to read for you, check in at an online group that champions diversity like Bang2writers and ask away! BIO: Jodie Crossman is a freelance screenwriter from West Sussex. A nurse by day, writer by night, single mum and caffeine addict, she has been writing for the last 5 years, completing scripts for both film and television. Her comedy pilot ‘The Matriarchy’ was shortlisted for the 2016 BBC writers room scheme, and her first completed feature script ‘Fortysomething’ has just been optioned by Seahorse Films, and will hopefully soon be coming to a cinema near you! 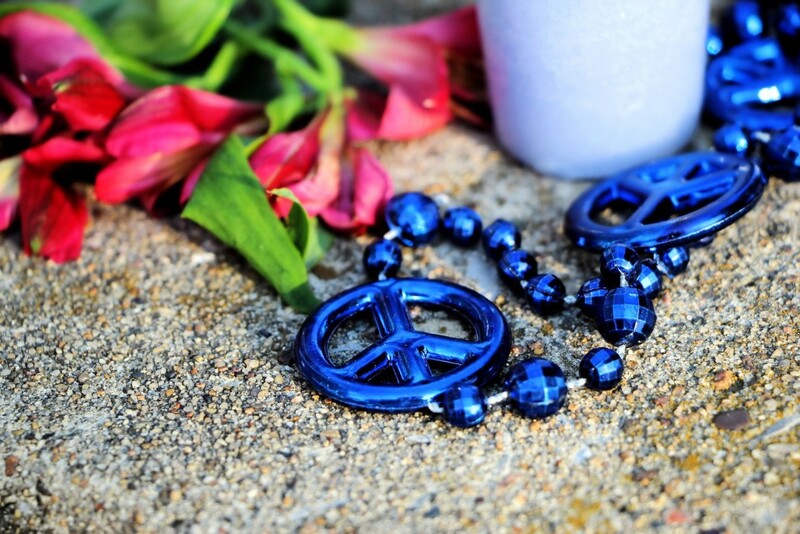 Follow her on Twitter as @daisy_and_me. I recently submitted a pilot for a comedy drama where the protagonist is a trans female council leader caught up in espionage and blackmail. It was so much fun to write because there’s so much more you can explore about society through the experience of a trans character, including ageism, sexism, and racism. Plus there’s a wealth of information available. I say as a writer if you’re thinking about it go for it because the research is fascinating. This is great to hear! Truly believe one of the ways we will normalise LGBT* people is to represent them properly in the media. Glad it was a joy to write! 6) Let LGBTQ people write their own LGBTQ stories. There’s nothing preventing this from happening and it already is, however you also have to consider the demographic of successful writers at commissioning level does not reflect the diversity of society as a whole the, television, plays and films can reflect diversity with respectil research and in the process open the doors for diversity to come through. It has to start somewhere and in writing diverse communities we become better writers and better people by respecting and learning about each other. Yup, both great points here. Also, worth remembering that just because someone has LGBT status (or something else that qualifies as ‘diverse’), doesn’t mean they necessarily want to write about it! You’ve written a great article and made some very valid points. I was accused, when I started writing lesfic for a primarily lesbian identified audience, of pushing an agenda to non-LGBT readers by someone who hadn’t even read any of it. My work isn’t for the heterosexual and cisgendered necessarily but, if they happen to read it – and they do – that’s fine. My readers congratulate me on occassion for making ‘gay life’ look so normal. Um, it is… Our sexuality doesn’t define every facet of our existence. Finally, to Shanna I would say; let writers write. By your resoning, a lesbian identified writer such as myself shouldn’t write a heterosexual character; a person who’s never been in law enforcement shouldn’t write crime fiction, someone who’s never touched a stethoscope shouldn’t write medical drama, a black woman should never write about a white man, etc. Can you see how rediculos that thinking is? As writers, we make things up for fun and, sometimes, for a little profit. We’re only limited by our imaginations and our ability to find appropriate resources for research. I’m about to start writing a fanfic about a lesbian villain. Could you please give me some advice on how to write this scenario without coming across as offensive? Sure, here’s a tip – don’t make the villain the ONLY lesbian in the story. You can read more about LGBT characters in my book about diverse characters. Good luck! I am writing a story about Five girls, the MC being Trans, another being a butch Les, another a smart pan (the leader of the group), a quiet artsy Ace, and a flirty Bi. I am doing research on how to correctly write them, but the Bi thing is sortve easy for me to write. The others, not so much. Especially the Ace. So I need help writing them. I am going to throw in a lot of straight characters and a gay guy freind. Any tips to writing these characters would be helpful. PS the butch is also from germany so help writing how to properly write her speech patterns would be helpful to. Hi Aslynn, if you check out the links in this post, as well Tumblr, Twitter and Pinterest, you will find more information about writing LGBT. I also talk in detail about LGBT characters in my new book, WRITING DIVERSE CHARACTERS FOR FICTION, TV & FILM. You can buy it HERE in eBook or paperback. I have a character who has a major role in the story. I feel like his personality could allow for it with slight changes, but I wouldn’t want to identify it just by telling “he was gay” when it has nothing to do with the plot (as that sounds terrible 🙁 ), and therein lies the challenge. Though he is one is of several in the story who pretty much got their own story arc going on. So excited to have found this article. It goes STRAIGHT to favorites (haha)! How would you request and negotiate such a thing? Assuming you manage to get in touch with a production company. Haha! Very good 😉 Just so I am clear, you seem to be asking about playing the non-binary characters you create. If that is correct, then becoming a writer-performer usually goes the stand-up/comedy route. Alternatively (or as well as), you would try and get an agent for talent castings on this basis. Hope this helps. Good luck! Well, the tips in the article would be a good start 😉 For more, check out the ‘diversity’ and ‘representation’ labels on this blog (right hand side bar), plus my book, Writing Diverse Characters For Fiction, TV or Film. Hey, I’m writing a novel where the female MC’s male love interest is bisexual. How do I do this right without coming out as offensive/cliché? Start by checking out sites like Twitter and Quora and reading about real bisexual people’s lived experiences they share. Don’t bombard them with questions though, just read. Also check out sites like Tumblr for examples of stories considered both good AND bad representations of bisexual people. More tips in my book, Writing Diverse Characters for Fiction, TV or Film.